The 3HL TOUR is pleased to announce that the world’s first ever 3-on-3 professional hockey league will be adding four expansion teams for the upcoming 2017/18 season. 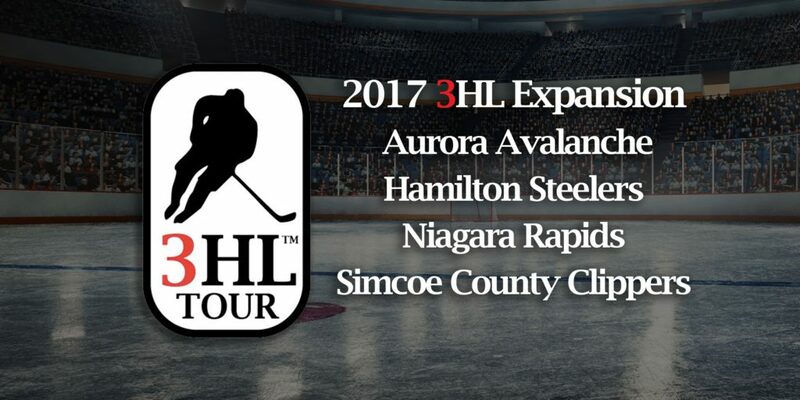 The Aurora Avalanche, Hamilton Steelers, Niagara Rapids and Simcoe County Clippers will join the 3HL in the league’s second season, which is an 18 event schedule running from October 2017 to May 2018. Logos for the four expansion teams will be released over the upcoming weeks leading up to the 2017 3HL Entry Draft, which will take place on Thursday, August 3rd. Three of the four expansion clubs have general managers in place to run the teams, but the Hamilton Steelers are still searching to fill the role of GM. Applicants with experience in hockey and/or sports management from the Greater Hamilton Area can send their resume and cover letter to hockey@3HLTOUR.com. This entry was posted in Hockey News, League News, Recent News, Team News. Bookmark the permalink.